Our #VenueoftheWeek is a spectacular country house wedding venue on the border of Berkshire and Hampshire. 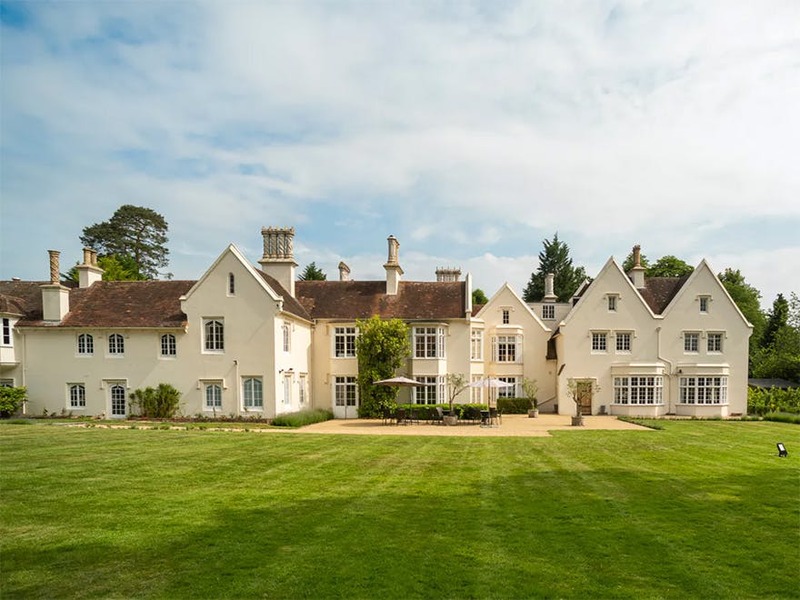 Silchester House, which was originally a private country estate, is a Grade II listed country house that dates back to the 17th century. 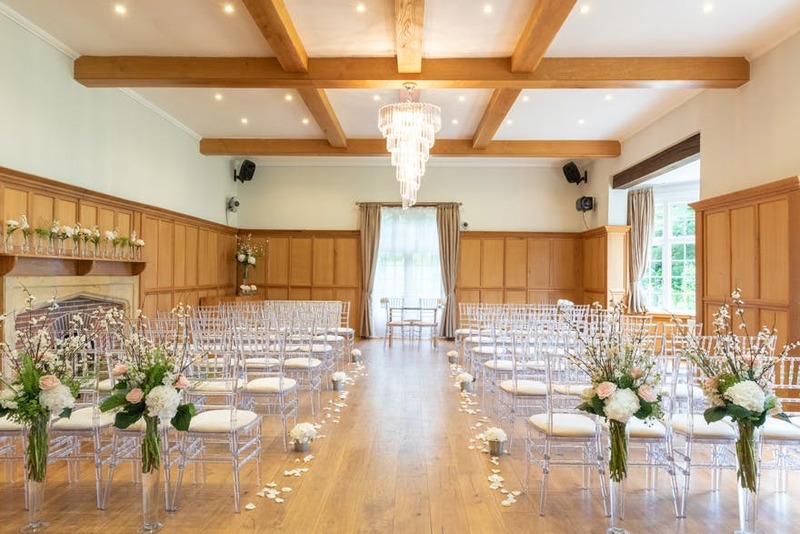 It’s set in the picturesque English countryside boasting beautiful architecture, stunning grounds and gardens, and a variety of charming spaces for your big day including a Library, Drawing Room, Music Room, and outdoor wedding venues such as a summer gazebo. 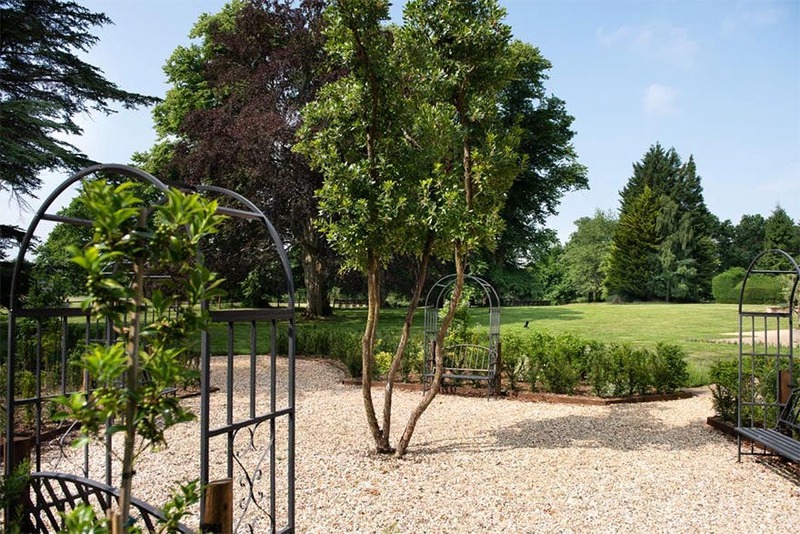 With a capacity of up to 90 people during the day and 180 for an evening reception, Silchester House is the perfect intimate wedding venue and is ideal for couples looking to celebrate a small wedding. 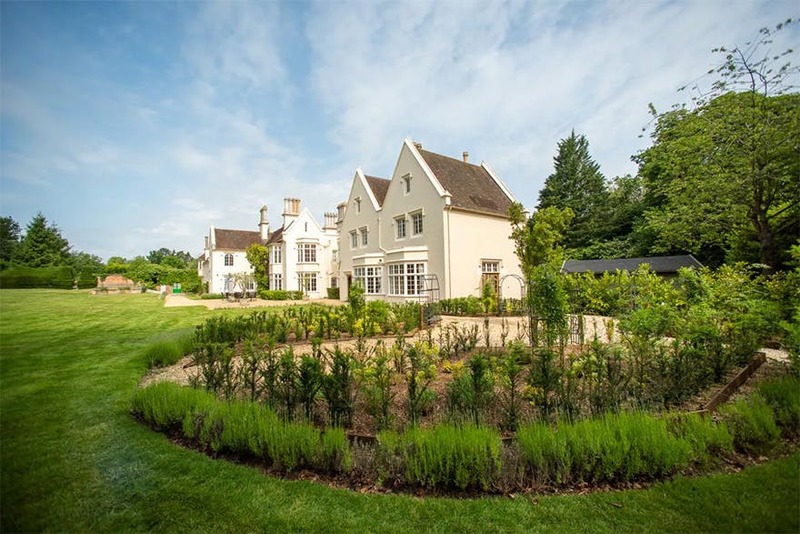 A popular option in spring and summer is to host an outdoor wedding ceremony—Silchester House sits within expansive, landscaped grounds and gardens that feature perfectly manicured gardens and sculpted yew hedges, and what could be more romantic than exchanging your vows in a gorgeous English country garden? 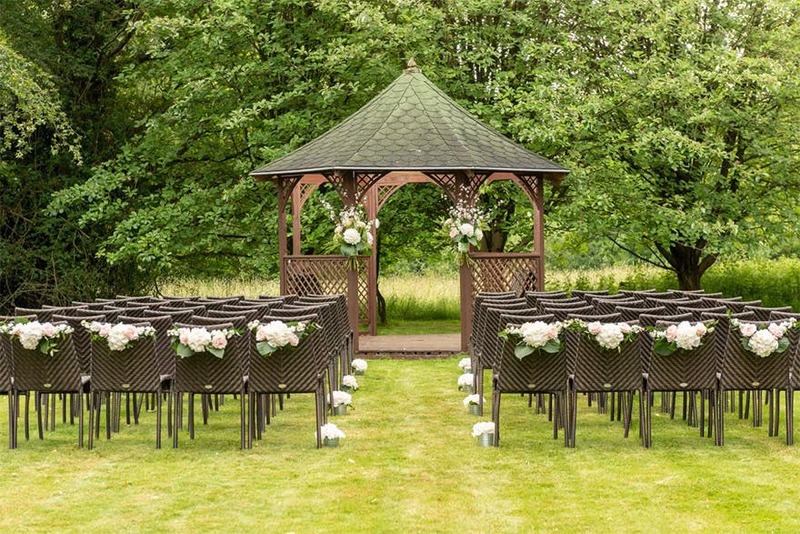 Silchester House is also home to a charming gazebo which is licensed for wedding ceremonies and makes for a more unique, unusual wedding venue. 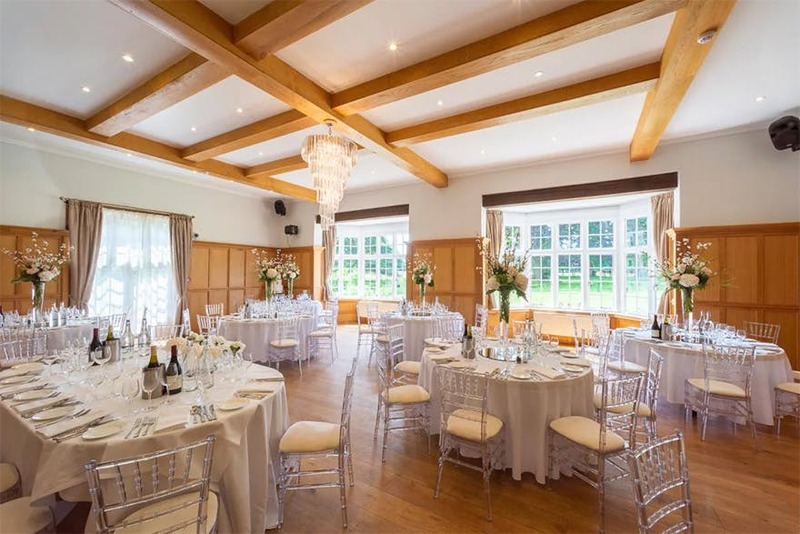 The light, bright Music Room at Silchester House offers the ultimate romantic space for both wedding ceremonies and wedding receptions. It was “built to showcase former owner Thomas Hartley’s passion for orchestral music” and is described as “acoustically perfect”. 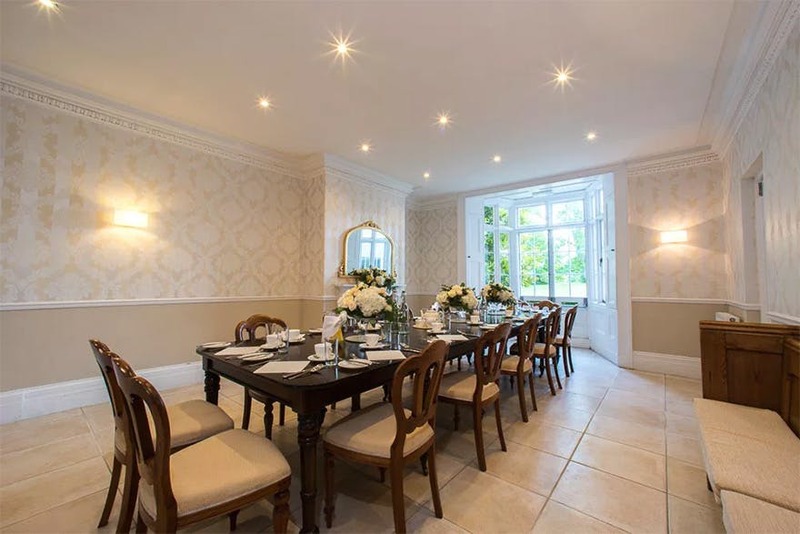 Guests can look out across the gorgeous gardens and countryside from its windows, and not only can it accommodate up to 92 guests for a stunning wedding banquet but it’s also the perfect setting for smaller house-party style celebrations. 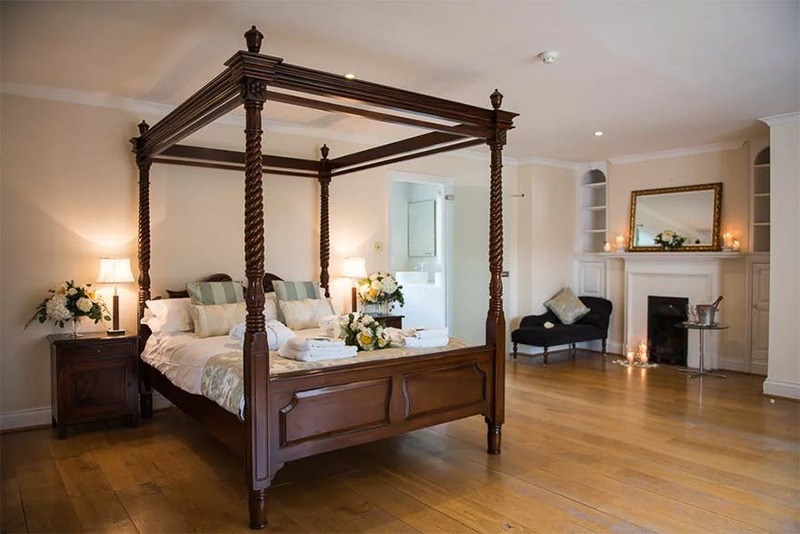 As for accommodation, Silchester House offers 14 luxurious bedrooms for your family and friends who are staying the night, including a choice of two lovely bridal suites. You and your guests can fill any free time during your stay by using the venue’s on-site tennis court and swimming pool or by experiencing the magnificent grounds. Silchester House has a team of specialists to help make your dream wedding a reality. Their in-house banqueting team includes professional chefs who will create a sumptuous wedding day banquet to your specifications, and their dedicated wedding planning team will help and support you through all aspects of your wedding journey. They even offer a splendid “proprietary online wedding planner to keep all of your plans and ideas in one place”, which is designed to make wedding planning easier than ever. 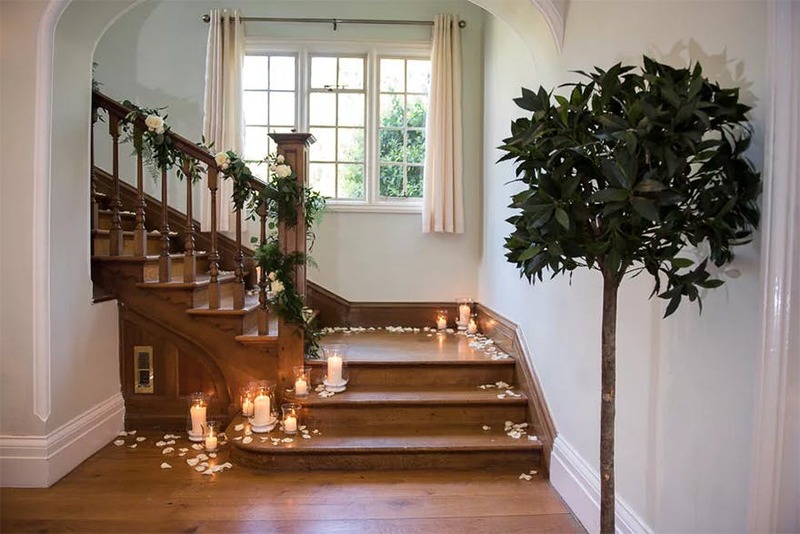 As well as as being a very beautiful wedding venue, Silchester House is also a historic wedding venue with roots in Roman Britain and “was among the very first private country houses to be licensed for civil marriages”. It is owned and managed by Bijou Weddings, a team who have a wealth of experience when it comes to helping you plan an incredible wedding, and is only available on a 24-hour exclusive-use basis (thus guaranteeing that you will have the venue to yourself for your big day). As an added delight, if you happen to be tying the knot at Silchester House on the same day as the village’s fireworks party, which is hosted in the grounds, you will be given the opportunity to perform “the ceremonial lighting of the bonfire”. So if you’re looking to have a beautiful English country house and garden wedding Silchester House with Bijou Weddings is the perfect choice! Get in touch with the Silchester House team today to find out more about hosting your wedding in this stunning country house wedding venue.